Below is a transcript of the episode, modified for your reading pleasure. For more information on the people, ideas, and music in this episode, see the links at the bottom of this post. DUBNER: Our working headline for this episode was “Belts Are Stupid.” Out of respect for belt lovers everywhere, we ended up toning it down. But I’m not willing to let go of the sentiment — and I’m curious to know what else you think is, on some level, stupid. What’s something you encounter or use or think about all the time that could really use a makeover? Our e-mail in-box quickly filled up with your “stupid” suggestions. There were so many good ideas about stupid things that I’m sure we’ll turn at least a few of them into future episodes. But, in the meantime, I just wanted to share some of the things that Freakonomics Radio listeners think should be put to death, or at least made over. One e-mailer suggested that what we really need to make over is the brasserie. And I thought, Really? I think brasseries are kind of perfect – the steak frites, the salad Niçoise. And then I re-read the e-mail: it’s the brassiere that needs the makeover. Indeed, there were many calls for a new, better bra. Also, the smartphone keyboard and the QWERTY keyboard; the TV remote and cable companies themselves; also the U.S. Postal Service. There were quite a few e-mails about everyday activities that are very resource-intensive: maintaining lawns, for instance, and washing and drying clothes all the time. An extraordinary reaction… A lot of pushback, a lot of enthusiastic support as well. “Why Women Still Can’t Have It All” is causing quite the debate. Can women really have it all when it comes to career and to family? 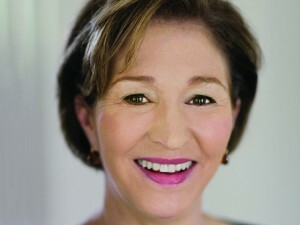 In July of 2012, Anne-Marie Slaughter wrote an essay for The Atlantic called “Why Women Still Can’t Have it All.” The subtitle read: “It’s time to stop fooling ourselves, says a woman who left a position of power: the women who have managed to be both mothers and top professionals are superhuman, rich, or self-employed. If we truly believe in equal opportunity for all women, here’s what has to change.” It quickly became one of the most widely read articles – and most widely dissected articles – in The Atlantic’s more-than-150-year history. Part of the issue was that Slaughter herself is sort-of superhuman (or at least a very high achiever); also, pretty rich (at least in relation to the rest of the world’s women). But she was definitely not self-employed; she worked in the U.S. State Department in Washington, under Secretary Hillary Clinton, until she quit that job – her dream job – because her family needed her. And then, she wrote about it. SLAUGHTER: I was suddenly a public figure, with my views being distorted, with all sort of people writing very unpleasant things, but with lots of people saying wonderful things. And it really changed my life. Up to that point, Slaughter was a highly regarded, if not highly visible, academic and foreign-policy wonk. If she got a media request, it was to talk about her views on the Middle East — the revolution in Libya or the war in Syria. But overnight, her more than 30 years as a foreign-policy scholar were trumped by this one article about work-life balance. SLAUGHTER: And to this day, I’m better known for that than anything I’ve done in foreign policy. And it created a new set of opportunities. But it also created a new set of obligations where I felt like, well, now I have to continue this conversation, I can’t just walk away from it. So today on Freakonomics Radio, we continue that conversation. We hear why not everyone believed Slaughter’s reason for leaving the State Department. We talk about her early warnings on Syria and what she’d suggest if she had the White House’s ear today. And we hit her with a few of our FREAK-quently Asked Questions. Anne-Marie Slaughter’s résumé is beyond impressive. SLAUGHTER: I am currently the president and CEO of New America, which is a think tank and a civic enterprise that focuses on trying to solve America’s problems in the digital age. And I have been for much of my life a professor, a law professor originally at Chicago and Harvard, and then a dean of the Woodrow Wilson School at Princeton. And then I was director of policy planning from 2009 to 2011 at the State Department under Hillary Clinton. DUBNER: I’d love you to just describe that job. I assume it’s a position that had been around, if not let us know. And what was your actual portfolio there? SLAUGHTER: Yeah, so it is one of the great foreign policy jobs. It was a job that was created by George Marshall for George Kennan. And you can’t get a better diplomatic pedigree than that. SLAUGHTER: And George Kennan then created the Marshall Plan. DUBNER: Meaning, if you had done something similar it would have been the Clinton Plan, yes? DUBNER: And not the Slaughter Plan. Okay, just to clarify. SLAUGHTER: What you are, you’re really running the State Department’s internal think tank. I mean, what it is are the longer-term thinkers at the State Department for whatever the Secretary of State wants. When I was there, Secretary Clinton wanted a massive review of our diplomacy and our development to think about how we could shift our foreign policy to include more development. And it was a huge report. I worked on it for 18 months. But we did everything else too. So my portfolio included everything Secretary Clinton was working on or wanted us to work on. And that extended from running the annual strategic dialogue with China to working on different parts of sanctions in the Middle East to thinking about Latin America. And we report directly to the Secretary. So it is a really wonderful job. Slaughter took the job with a reputation for arguing that American values are not only part of a national identity, but a strategy. SLAUGHTER: And that means I have taken a strong stand on things like intervening in Libya, where I thought we had to prevent a massacre; where I’ve been incredibly strong on taking action in Syria because it was predictable that the country was coming apart in what is now the greatest humanitarian disaster of our time. There are people who see me as — they call me a liberal hawk. I don’t agree with that. I am a liberal, but I would say I focus on people, I focus on American values. And I’m a realist in terms of the things we can’t do, but I am definitely somebody who stands for doing what we think is right in the world. And how that should be done is informed by Slaughter’s academic work. SLAUGHTER: As a scholar I’m known for really thinking hard about what’s it’s like to try to solve problems in a networked world. I’ve been studying networks since the mid 1990s and did a great deal of work on how central bankers network with each other, or justice ministers. How do we basically come together and solve problems in an intensely interconnected world when a lot of the institutions that we created after World War II are just not good enough. Less than a year after this started, I called for arming the moderate opposition. It is possible to have no fly zones or safe zones. What we need first of all is to just end the killing. The next thing we could do is we could take out their air force. Are we going to do nothing? Really, nothing? DUBNER: What’s it like for you to be sitting here, to have wanted to intervene much more directly in Syria, not being part of a team that took that direction, and seeing the aftermath? SLAUGHTER: Intensely frustrating. It is just agonizing to see the paper every day because this was so completely predictable. And it’s been predictable. We’ve got a government that’s been using chemical weapons, that’s been dropping barrel bombs on its people. Now what’s happening is even the Syrian government supporters are fleeing. But, this goes to a point that I have made over and over and over again that the divide between strategic interests and humanitarian interests is a false one. That you could see that where a country’s population is being driven out of their homes and being massacred by their governments, sooner or later, very bad things will happen. Extremists will move in, and people will move out. And then that becomes a national security interest. And that’s what we’re seeing right now. But it was predictable. And we could have done something to stop it. And we didn’t. And now the problem is so much worse. DUBNER: Considering what has happened and considering where we stand today, let’s say you were back in the State Department. Let’s say you’re Secretary of State today, what do you do? What is it not too late to do, assuming that the White House is susceptible to your suggestions and maybe you even have some leverage? SLAUGHTER: Well, I think the White House is tired of hearing me on Syria. But there are two things that we can do. It is still not too late to create a no-fly zone on the Turkish border, possibly the Jordanian border. Creating a no-fly zone basically says to the Syrian government, “You have to stop dropping barrel bombs on your people, and if you use helicopters or fixed-wing aircraft to do that, we will take them out.” And we could do that from ships. So we’re not even talking about risking American planes. We need to do that because there has to be some safe place for Syrians within the country to go. There is no safe place in Syria. We have to do — and not just we the United States — we and Turkey and other states in Europe and the region collectively — have got to create safe space within Syria or we will continue to see people flee Syria. The second thing — and this is what we’re trying to do — is: ultimately the only solution is to reach a political compromise in Syria that will end the civil war. And that requires Russia and Iran, and Turkey and Saudi Arabia, and Jordan, and Lebanon, and European countries sitting around a table and brokering a political solution. We have been trying to do that for a long time. I argue that unless you make clear to Assad that you are prepared to use force, at least to stop him from massacring his own people, he will not come to the table. So I think these two things are connected. But this is just going to get worse and worse and worse unless we can find a way to create a political solution. And then we still have to fight ISIL. So that’s just a piece of the larger puzzle. DUBNER: A lot of your emails to and from your boss, your then-boss, Secretary of State Hillary Clinton, have been released lately in the big release. We’ve gone through them. We can’t find anything remotely salacious from you, I have to say. I was a little bit disappointed. You seem to be quite an upstanding citizen. But what’s the experience been like for you to see your work correspondences become public in a way that you perhaps hadn’t intended? SLAUGHTER: Well, I have to say I haven’t gone through all of them. I’ve seen some of them. I clearly did write thinking I was writing only to her but I would say, in general, that I’m not upset at having my correspondence public. I mean, I don’t think it’s a good idea as a general matter. Any government official depends on being able to receive advice from people. And if you’re constantly worrying that it’s going to be made public, what will happen is you’ll trim your sails. In the end, she’ll get less advice because you will only give her advice when you can talk to her. And you’re not talking to her as often as you can write to her. So I don’t think it’s a good public policy to publish all of this. But I’m willing to stand by anything that I wrote and to explain that I knew she was getting lots of other advice, and that often I felt like, You should hear this point of view. DUBNER: I’d love to read you part of one of your emails to Secretary Clinton, just ‘cause it’s interesting about the relationship between State and the White House. And I’m curious to know maybe some further thinking from you, and maybe some forward thinking from you on what you think the relationship should be between those two. You wrote to Secretary Clinton, “You did a great job on Meet the Press. The only thing I would add is when they ask you about the relationship between you and White House you can say not only that you are the diplomat-in-chief and the implementer, but also the architect of the strategies we need actually to achieve the objectives and the visions that the President lays out.” So talk to me about why — I mean, presumably she’s the Secretary of State, she knows this. What were you trying to communicate either just below the lines, or maybe way below the lines? SLAUGHTER: Well this is something I’ve thought a lot about. As the National Security Council expands, the State Department consistently — and USAID, and the Pentagon, the other agencies — are constantly trying to make sure they still play the role they’re supposed to play, which is the president sets the direction, right? He’s — as George W. Bush said — he’s the decider. So on Syria, good example, I may really disagree with his decision, but he gets to call the shots. But if he says, “Okay, here’s what we want to accomplish in Syria: you know, we want to do everything we can to protect the Syrian people and to protect our interests in the region. And we want to do that by engaging Iran, or working with Turkey.” He ought to be setting policy at that level. And then the State Department, because the State Department is the place that has the expertise, and of course the people — the national security staff is really small, the State Department is big — then the Secretary of State should be, should then say, “Okay, how are we going to accomplish what the president wants us to do?” So when I said that she could say she’s the architect of the strategy, it’s: we should be the place that is then creating the strategy to accomplish what the White House wants us to do. And of course, the National Security Council should be involved in that, but they shouldn’t be actually creating the strategy. They don’t have the bandwidth; they don’t have the expertise; and they don’t have the depth. DUBNER: Do you think it’s also part of just this general philosophy of the American presidency, and not all presidencies are like this, to create the appearance that all power runs through the president? You know, we’re kind of devoutly anti-technocratic in this country. We don’t like to present the image that there’s a department that does this, and a department that does that, and the president kind of has a hand in it. We tend to prefer the image of the kind of great man theory of history with the one all-powerful, Wizard of Oz-y guy or gal there. Do you think that’s part of the issue, or is it more just a typical political leverage issue? Or neither? SLAUGHTER: Yeah, it’s interesting. I think it’s just, once you’ve created a White House bureaucracy — because that’s what you’re talking about; the old executive office building is the White House bureaucracy — inevitably, power starts to flow to the center. And I think it’s very bad for the American government because you actually are disempowering the very people who have the expertise to engage with Congress. Remember, all those departments are the ones that engage with Congress on a daily basis. So, the American people are represented, but I think once you start creating a staff, inevitably they think, “Well, you know, we want to do it.” And the President thinks, “Well, I want to control it.” But the real problem is the President and even the National Security Council Staff and the National Economic Council staff — given the complexity and the enormous range of issues — they cannot replicate the government. 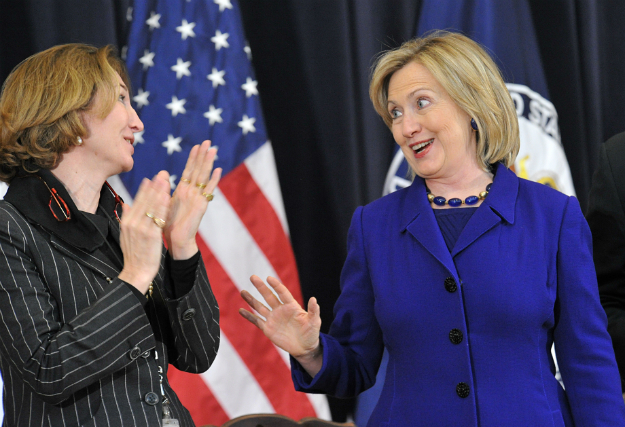 After two years as director of policy planning in the U.S. State Department, Anne-Marie Slaughter announced that she’d be returning to Princeton. SLAUGHTER: I had succeeded in my job and I could have been a candidate for promotion. I don’t know if I would have gotten a higher job, but Secretary Clinton had made it clear I could have put myself up for promotion. So the decision I made was, I can stay here and try to get and even higher job — and this is something I’ve wanted all my life — or I can go back to being a professor. And I would not have done that if I didn’t have children at home. I would have stayed in Washington. DUBNER: Let’s just take one minute and set the stage. Your family had been living in Princeton. DUBNER: You’d moved down to D.C. for the job and you were commuting back on weekends essentially? SLAUGHTER: Yes, yes. I was leaving at 5 a.m. every Monday morning and I was coming home sometime late on Friday. And so I was only home on Saturday and Sunday. And my husband, who is a professor at Princeton was being the lead parent, the only parent at home during the week. But, our elder son was making some bad choices. Really bad choices. And he was in middle school. He wasn’t doing his homework; he was failing math, being disruptive in class. By eighth grade, he was suspended from school. He’d even been picked up by the local police. SLAUGHTER: And I realized that I just needed to go home. I didn’t know that going home was going to turn everything around. My husband had been doing his best, and this was a real challenge, but I felt like he needed all hands on deck. DUBNER: Did it turn everything around? How much did your coming home change the situation with your son in your family? SLAUGHTER: So this is an interesting question. So my son, I am happy to report, just started college last weekend at Northwestern University. DUBNER: Now, you told him that because it was true, or you told him that because you didn’t want him to feel guilty? SLAUGHTER: I told him that because it was true. The Atlantic essay that Slaughter wrote about her dilemma produced a vigorous response. Some people thanked her for pointing out what should be obvious: that when it comes to family obligations, we expect more of professional women than professional men. But some people thought that she was a traitor to the feminist cause – that, if a woman as well-credentialed and well-situated as Anne-Marie Slaughter had to put aside her dream career, what did that mean for the average working-class woman? And that was just the public response. It was what she heard from people she knew that really surprised her. SLAUGHTER: What they thought depended on what I said. And this is really what I learned. Because if I said to people, “My two-year public service leave was up and I came back because otherwise I’d lose my tenure,” people were fine with that. As I point out, Larry Summers did that, right? Giving up tenure at an Ivy League university, most people understand why you wouldn’t want to do that. So, if I said that, there was no problem. Everyone was like, “Great. You had a great job in government, and you’ve served and now you’re back in a great job.” But I deliberately said to people, as part of my overall philosophy which I had when I was a dean and I had in the government — if I said, “I came home, my leave was up an I have two teenagers at home, and I didn’t want to miss their time at home, and it was important for me to be here now,” I got a very different reaction. And that was fairly shocking to me. And I deliberately would raise that because all my life I’ve believed — I’m a foreign policy professional; I’m an academic; I’m a scholar; I was a dean; and I’m a mother, and a wife, and a daughter, and that part of my life is just as important. So I would deliberately say this. I would just say, you know, “My kids were a huge part of the reason I decided to come home.” And when I said that, I would get a very different reaction. And I would get a kind of, either, “what a pity,” which was the opposite of what I was trying to say, which was, “No, this was a very important choice. I’m also a mother.” Or I would get a kind of — I could see this kind of reassessment, like, “Whoa!” I guess, either they didn’t believe me and they thought I must not have succeeded — which in Washington, if you say you’re leaving to spend time with your family it’s a euphemism for being fired. So you could see people thinking, “Hmm, maybe she didn’t do so well.” Or you could see people just thinking, “She must not really be a player. She must not be the person I thought she was, because if she was, she clearly would still be in D.C.” Because you couldn’t come back and really legitimately make this choice to be back because your children need you or you want to be with your children even if they don’t need you. Slaughter had written several foreign-policy books including The Idea That Is America and A New World Order . But now she set out to write a very different kind of book. It’s called Unfinished Business, published just this week. It’s a call for making the workplace a truly equitable opportunity for women and men; the book grew directly out of the Atlantic piece. SLAUGHTER: The book is about okay, we’re stuck. I mean, it’s Unfinished Business: Women Men Work Family , and the unfinished business is the unfinished business of the movement for full equality between men and women. And in a nutshell, what I’m arguing is that if we’re going to get to real equality between men and women, we have to focus less on women and more on elevating the value of care and expanding the choices and roles for men. And that’s sort of counterintuitive, right? Because what we’ve been doing is, we measure our progress in the women’s movement by how many women CEOs we have, women leaders of all kinds, women politicians. And I’m all for having more women in high places. Don’t get me wrong. I’m all for it. We need it. But that metric and that focus is not going to get us there. Because it’s leaving a huge number of women out — all the women at the bottom — and it’s assuming that you can get to equality between men and women by changing women’s roles but not changing men’s roles. DUBNER: Right. You also, the phrase you use is that we need to “resocialize men,” which as a man sounds vaguely threatening, but not really. But, but you write about not only adult men who are in the workforce and maybe those CEOs that we’re talking about, but also young men, boys, and how they should think about the future work world and the future family world, as well. So talk to the men for a minute. This program is probably I’m guessing now roughly 70 percent male listeners. So this is a great platform. SLAUGHTER: Oh, that’s so interesting. DUBNER: What were some of the kind of basic signposts that we need to rearrange, or get rid of, or maybe the new ones we need to have written? DUBNER: In the book, you acknowledge the criticism that this work-life balance conversation often becomes kind of an upper-class conversation. DUBNER: And you acknowledge that, look, you have an elite position currently; you grew up in very comfortable circumstances; you had great schooling; you had great educational and job opportunities; and you’ve taken advantage of them. You’ve worked hard. I don’t mean to disparage them at all. But how can someone very much on the other end of, let’s call it the opportunity spectrum — and let’s say it’s a single mom — how can that population then think about this issue divorced from all the trappings of privilege? SLAUGHTER: I talk about the competitive mystique, or the bias against people who are giving care. It hurts women at the top if they take time out or work part-time, or stop working, it hurts them; it hurts their career. It hurts women at the bottom so much more. Because a single mom, whose child is sick, can lose her job because she doesn’t have paid sick days. So, the fact that we don’t accommodate care, and the fact, much more importantly, that we don’t provide affordable, quality daycare for her to put her children in, or early education, or after-school programs, or paid maternity leave — all of that means that the woman at the bottom, single moms are the poorest people in our society. So I point out that we have too few women at the top, but we have far too many women at the bottom. And if you focus on care, you can find solutions that help the women at the bottom as much as the women at the top. And that’s what the women’s movement has to be about. When it started it was about all women. And now it is far too much only about elite women. It was time to move on to a few of our FREAK-quently Asked Questions – the same questions we’ve asked of people like Nate Silver and, more recently, Drew Gilpin Faust, the president of Harvard. DUBNER: I kind of have a feeling I may know the answer to this question already, but I may be wrong. Who was the best boss you ever had and why? SLAUGHTER: Oh goodness. Alright, there are two. DUBNER: I put you in a position, didn’t I? SLAUGHTER: You did. You did. So, Shirley Tilghman and Hillary Clinton, both. They both taught me different things. But Shirley Tilghman, who was president of Princeton, is just a phenomenal female leader — the first woman president of Princeton. And Secretary Clinton was somebody I learned from every day. DUBNER: What’s the best possible future discovery or invention? It might be medical, it might be political-ish. It might be financial. I don’t know. SLAUGHTER: Yeah, let me think for a second. DUBNER: I can whistle the Jeopardy music if you’d like. SLAUGHTER: Honestly, the single best invention I can think of right now that I think would make the biggest difference in the world would be rapid and cheap desalinization. Because water crises are one of the biggest threats we face not only for climate but also for security, for the quality of life. If we don’t have clean, cheap water, all sorts of bad things happen. So it’s less important maybe for the United States, although the folks in California are thinking about this. But globally, that would make a huge difference. We can do it, but we can’t do it cheaply and efficiently and universally. DUBNER: That’s a good answer, and it actually may be the answer to the next question as well. What will eventually lead — this is obviously speculative and just your opinion — but what will eventually lead to humankind’s demise? SLAUGHTER: Ah! So, I think I am more worried about disease and pandemic than I am wars. Although they’re connected, because bioweapons could do us in, right? Somebody invents a pathogen that cannot be cured, or they think they can control it and it goes out of control. Or naturally, like Ebola. If you imagine Ebola and think that it could have been communicated by aerosols, so anybody on a plane who’s breathing it — anytime you get on a plane many of us get colds because we’re sitting next to people who have cold virus — if that’s a lethal virus like a bird flu that could kill you, given how fast that could spread, that could effectively, certainly decimate us if not wipe us out completely. DUBNER: As much as that’s a horrifying thought, I’m kind of glad to hear you, particularly, give that answer as opposed to envisioning the war, because you know the scenarios of the wars as well. SLAUGHTER: I do. Actually, we’ve gotten safer on wars, we really have. DUBNER: So, I’m weirdly, mildly comforted by your horror story. So thank you for that. DUBNER: And finally, this is a question just for you. Let’s pretend for a moment that Hillary Clinton is elected president in 2016. What are the odds that you are back in D.C. with a government job? And what job would you like? I mean, would you want to be Secretary of State? I can’t imagine that wouldn’t be a blast. SLAUGHTER: So, I’ve been in Washington far too long to answer that question. I mean, I have made no secret of the fact that I love foreign policy and I’m committed to foreign policy, but there are so many imponderables, partly on the home front, and partly in terms of the organization I run. I would say, I would love to be in a high foreign policy position again at some point in my life, but I’m not expecting or anticipating any immediate changes. DUBNER: Alright, we’ll just have to keep our eye on you then. SLAUGHTER: Well, I’ve enjoyed the conversation. Thank you. Coming up on the next Freakonomics Radio: imagine you’re a kid who grows up to become a professional athlete, and now your mom thinks she’s entitled to a share of your new riches. Who says we’re not supposed to have an obligation? Maybe kids should pay back their parents for raising them? Or at least commit themselves to taking care of their aging parents. And finally, apropos of nothing: if you happen to be a soccer fan and are looking for a new club to support, maybe a low-tier Sunday-league club in England – well, we’ve got just the club for you. Freakonomics Radio is now a proud sponsor of Dun Cow Football Club in Shrewsbury, England. You can find them on Twitter, proudly wearing their Freakonomics Radio kits. And the Cow, as they’re known, have begun the season with three wins against just one loss. Freakonomics Radio is produced by WNYC and Dubner Productions. This episode was produced by Arwa Gunja and Greg Rosalsky. Our staff also includes Jay Cowit, Merritt Jacob, Christopher Werth, Caroline English, Alison Hockenberry, and Kasia Mychajlowycz. Here again is a podcast of Dubner throwing softballs to another liberal espousing her view of the world and giving a not-so-subtle vote of support for Hillary Clinton's candidacy by Dubner trying to connect Slaughter with a Clinton presidency. It's nice that Dubner actually spent at least a few minutes discussing the topic promised in the title. What's disappointing, however, is Dubner abandoning the concept of exploring “the hidden side of everything” by failing to question obvious contradictions in Slaughter’s argument. She promotes the idea of men being taught to make choices about the alternate roles they can play in life, but exempts "women at the bottom" from the same decision-making power, and Dubner just lets it pass. How much empathy can one have for the limited career choices of an adult who consciously elects to become a parent without the support of a spouse or partner to share in the responsibilities? You want to have a child by yourself? Knock yourself out, but you probably just shot your career in the foot. Live with your choices. Life is all about incentives, isn't it, Dubner? Can we get back to Freakonomics in the next episode, please? Definitely this. As I listened to her solutions, I couldn't help but think she was missing the root of the problem: single motherhood. I'll likely get down voted into oblivion for this, but so be it. We're designed as man and woman to not only procreate together, but also support each other. But we've exchanged the natural with the unnatural, and accepted the counterfeit. I believe Mrs. Slaughter got her personal action correlation wrong to her suggested her treatment, suggesting men change and goverment fixes. She misses that the women's movement needs to recalibrated from having what men have to creating better families as she finally found with her actions. The three pillars for destroying a society. Break marriage in the sense it's no longer between a man and woman raising a family. Break the bond between parent and child by sending them off to day care and goverment cotrolled schools so we can chase the cheese. Finnally, have these fractured groups look to goverment and it "programs" for more solutions. I appreciate that it was pointed out that her circumstances of how she was raised and schooled does not the reflect the reality for most women or children today. Always interesting to hear people re-discovering natural truth around what is the basis for society. Uh...no. When you can support with actual data your POvs, come on back now. Also edit before you post...that paragraph is atrocious. A speaker with a verbal tic is distracting and less credible. An adult who types verbal tics is atrocious. Timely interview. And now, because the US abandoned responsibility in Syria, the Russians have stepped in and not only chastised the West for not doing anything, but also started to give support to the Syrian government, ostensibly by fighting ISIS and removing one of the Syrian government's main military opponents. The last 10 minutes when Ms. Slaughter discussed women and equality were the most interesting to me. I agree that the paradigm shift is not so much an emphasis on having more women in high powered jobs, but on having more men and women who set healthy boundaries on work so that they can also invest in relationships with their families. When have we ever heard a man in a high powered job asked, "How does this job interfere with your role as a father?" The ramifications of men who are largely emotionally absent in their children's lives should be explored. the way we define success definitely needs to be overhauled in order to facilitate true equality between the sexes. As a full time stay at home mom I would really love to hear a podcast on the economics of non wage earnig workers. We contribute to society and the economy in a positive way. Who is measuring our impact? I'd like to hear about that! I would love to live in a society that viewed what I do as valuable, despite its lack of paycheck. I listened to the podcast for about 15 minutes. Bored to tears. Came to the transcript and did a search for "data" "numbers" "statistics" and "economics." Just one hit for only one of those words. I thought this was a podcast about economics? "in what is now the greatest humanitarian disaster of our time"
I know that that language is vague. Like what is "our time?" Like the last 10, 20, 50 years? Because there are a lot of much worse humanitarian disasters that I can think of off the top of my head that weren't that long ago. To people that didn't have the option to leave. Maybe it is her definition of disaster. I don't know. Seems to have a warmongering agenda. Something I found interesting, "we want to do everything we can to protect the Syrian people and to protect our interests in the region." Our interests should only be to protect the Syrian people, as she stated earlier that strategic and humanitarian are the same. She broke her own rule and separated them. If she felt that way, she would have said protect the Syrian people which is our only interest in the region. "We’ve got a government that’s been using chemical weapons, that’s been dropping barrel bombs on its people.?" But that has been shown to be done by the rebels as well, this isn't single armed aggressor. There are multiple armed aggressors in this conflict. In fact, some reports show that the rebels did gas their own people (most likely) to provoke another invasion. "Now what’s happening is even the Syrian government supporters are fleeing." That is because they think the government will lose the internal conflict and they will be the fallout. "That you could see that where a country’s population is being driven out of their homes and being massacred by their governments" Or those opposing the government. Like say ISIS. "Extremists will move in, and people will move out." Yes, they did. After they bolstered themselves in Iraq. You know the was to topple the dictator who murdered his own people? Sounds familiar. Riches? Even if you're LaBron James, it doesn't entitle your parents to anything. It's the same way that you could get an MD, go through law school or get into any successful professional job and get rich... but you can't be legally obligated to pay your parents back. Morally obligated, sure but legally, that's nonsense. Why is this question being asked, because some rich athlete doesn't want to bail out his broke, drug addict mom and she's trying to sue him for it? The answer should be the same for any child who turns out to be rich and successful, helping out the old folks is something that should and ought to be done out of kindness, but not out of legal force. From the parent's perspective you can't think of kids like an investment. Biologically speaking, kids are just a way to pass on your genes so that your DNA doesn't disappear from the earth for a slightly longer period of geological time. If your kids grow up to be successful and are nice enough to support you in old age, that's wonderful, pat yourself on the back, you made it. But if they're successful and hate you because you were a taskmaster, well, you should have thrown in a few more compliments and ice cream sundaes along with the facepalms and putdowns. Might also consider the flip side: kids who think they deserve to be supported in luxury, and eventually inherit a pile, simply because their parents were prosperous. Umberellas are very good when hiking in the mountains in Norway. Small rain showers occur regulary, and with an umberella I don't need to but on a jacket or change pants. Hardy, har har har har! Feminism podcast with a pro Billary Clinton slant? AWFUL, bleh...! "As a scholar...." LMFAO, as if one should call themselves "a scholar." Yes, it's your ploy to get people fired up and all and that's a good strategy, however, stop with the pandering to the left, for crap's sake. I thought this was supposed to be down the middle, which is what PREVIOUSLY had made your offering great. How about interviewing some groups from the right, evening out the mumbo jumbo you've been putting out lately...? "New America is dedicated to the renewal of American politics, prosperity, and purpose in the digital age through big ideas, technological innovation, next generation politics, and creative engagement with broad audiences." IOW, spewing liberal crap to control the minds of the sheep or shall I call them lemmings? Hillary Clinton = laughing stock. You have to be OUT OF YOUR MIND to support the thieving "aristocracy" of America. That includes Jeb Bush, as well! Syrian situation = FIASCO. Obama is getting played like the fool he truly is, no experience. The work at State like that is all encompassing. She went back to the easier life at academia because she wanted to. Men also cannot have it all. These career are the kind that wreck families and health. Men and woman make different choices. Who is to say which is happier? We may never reach "gender parity" in most jobs and that is okay as long as it results from free choices of individuals. Slaughter has it backwards on the "re-socialization" of men. Only when career prestige or salary has no bearing on whether a man enters a relationship or marriage, will men stop chasing after the next promotion. So if anything, "re-socialize" women to care as little for their spouse's career or salary as men currently do, and you will see actual change. Wow, never thought about it that way. Great post. Neo-cons in a skirt. Hadn't heard why she was bounced from State, now I understand. Why do we still do daylight savings? Does it have an economic impact on society?